The Challenge of Converting Guests to Regulars. According to the National Restaurant Association, more than a million restaurants were operating in 2017. With multiple quality options, the real challenge is staying top of mind. Through app notifications you can send targeted offers to remind people of you when making decisions. After all—get diners to come back three times and you have a 70% chance of turning them into regulars. Keep Customers Coming Back with a Digital App. 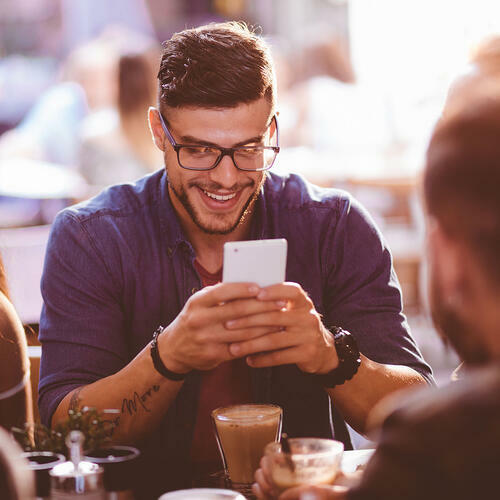 A recent Deloitte survey noted 70% of diners want restaurants to engage with them through apps. Specifically, apps that interact with them on a personal level—think specials, promotions and events. Specifically, they like using apps that convey the sense that a restaurant “knows them.” The average person spends five hours a day on their phone. Why not meet them right where they are? Turning Visitors into Regulars with Boelter Blue. With Boelter’s Blue’s Blue Napkin First-time Guest System you can turn first-time guests into regulars by using relevant offers designed to bring them back three times. Or take control yourself and deliver all the VIP content your fans can handle. Your app works ’round the clock to promote your restaurant, track results and free you to be as hands on or off as you like. Build your restaurant traffic with smart mobile restaurant marketing strategies and the Boelter Blue restaurant marketing app.